Yes, all dogs are good dogs (cats too, of course), which is what came to mind the other day when Sophie did her business right where she was supposed to, versus my rug or my bed (What a relief, those days are over). I repeated to her over and over, “Good Girl, Good Girl” in my usual high pitched voice gently clapping my hands and jumping for joy like a good little girl myself. And indeed, Sophie really has come a long way to doing all the things I set out to want her do. But the thought hit me right then, “yes she’s a good dog”, but “All Dogs are Good Dogs”. So I’ll say it again as I said it to myself, all dogs are good dogs even when they do something we prefer that they don’t. And I’ll add, “There are NO bad dogs”! What we do have are poor training techniques, and poor behaviors ourselves. Now, I have mentioned before that I prefer conditioning and reconditioning versus training our best friends because too many times I witness people using “no” too often and especially too harshly when “training their dogs”. I personally have only used the word no two or three times in 8 months, and it isn’t because Sophie came home with me behaving perfectly (Don’t want a perfect dog anyway). Now I am not an animal behaviorist so please know that I am not writing as a professional here, but the training methods including “corrections” are just not in my repertoire. Yet, I can say that positive reconditioning and reinforcement techniques are and have worked for me, while I have witnessed people correcting their dogs over and over for the same behavior that they want changed. My neighbor tugs and jerks her little dog’s collar every single time he barks quite ferociously as a bigger dog is coming down the block. 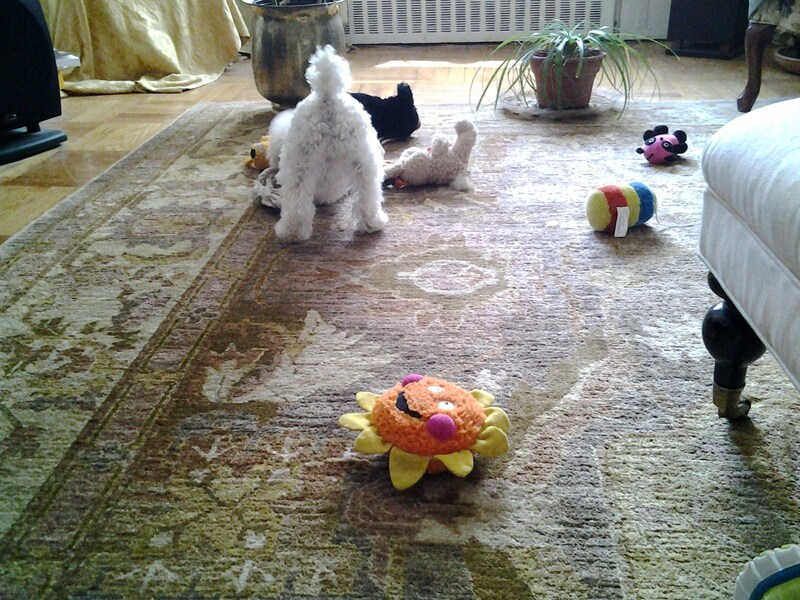 Her dog starts barking when the bigger dog is about ¼ of a block away and continues while lunging as the dog passes. Yet, each time that she jerks his collar calling him a bad boy, he continues. Good dog, poor reconditioning. Some people may call it poor training, but I hope we can “recondition” ourselves to never say bad dog. While I did touch upon animal behavior in school, I learned more about some wonderful conditioning tips from a book titled “For the Love of a Dog” by Patricia McConnell. What I did do with my little Sophie was to reward the positive behaviors and ignore the not so positive behaviors. The rewards were and are anything from me lightly squealing in a high pitch voice repeating good girl jumping and clapping with big smiles, to giving her little pieces of chicken. And boy did she catch on fast. While all dogs have individual personalities with individual temperaments generally they want to please us, and getting a favorite treat doesn’t hurt either! You might ask, but how does that prevent the not so good behaviors? That is where part of the reconditioning comes into play. If we can catch the behaviors beforehand, we can distract and reward another behavior that is positive immediately. So if we have our dog turn away and sit at the first sign of another dog approaching before he barks, rewarding him, then over time this reconditions the behavior we want. The point is to gradually reward the positive behavior as an approaching dog gets closer and closer until he realizes that he will be rewarded for not barking and lunging. Of course, I’ve really simplified this. Let me say that along the way, I developed more patience, a more positive behavior myself as well. Adopting Sophie has been much more rewarding than I ever expected. I had my own expectations and quite a few surprises from Sophie about her many behaviors, which now are well on their way to being all positive. One, which I mention in my first post, would have been a deal breaker 20 years ago. Behavioral problems are one of the top reasons people bring their dogs to shelters, and bring back their adopted dogs to a shelter. Is it a dog’s fault? Is the dog bad? Absolutely not. One major problem is a lack of positive conditioning, knowledge, patience and commitment. Of course there are other reasons people give up their dogs and cats, including not choosing the right species, breed, personality, etc. when they pick a new dog or cat. I know that 20 years ago I chose a wonderful dog but the one wrong for me and my lifestyle. Good dog, wrong decision on my part. All Dogs are Good Dogs. So while some reality shows have titles such as Bad Dog, or The Cat from Hell, these titles are meant to grab our attention. Bad Dog shows the mischievous ways our friends can behave, while doing so in a humorous way, and The Cat from Hell I am pleased to say addresses what behaviors we humans need to change versus blaming the cat. I can only hope that we change our perceptions and behaviors so that we don’t need to name these shows with sensationalized titles reinforcing how we use animals in a negative way in our everyday language (He treated me like a dog, for instance).Maybe then we can contribute to less good dogs and cats becoming homeless. Next: What studies suggest about selecting a best friend! When I first wrote about Sophie, I gave the first post the title “Sophie’s Homecoming”. Now, my title reads “Sophie is Home”; so what’s the difference? Sophie’s homecoming was about her behavior, reactions, and adjustments that first day, week and first several months that I observed. Now, eight months later, I sense from my observations, that she is truly home. Truly home meaning totally relaxed, confident, playful and all the things I surmise feeling at home might mean for her. In so many ways, I compare this to when we humans feel at home after arriving in a new place. She has her favorite spots, her favorite toys, routines; she plays, has her” I want to rest spot”, goes pee pee exactly in the appropriate place, runs away like a little devil when the brush comes out, along with all the little habits, which take time to form, and well I can go on and on. You may think I’m anthropomorphizing, but all I can say is that she is a completely different dog than eight months ago, and even than 6 months ago, and I’m not the only one noticing. In fact, all my neighbors have noticed too. So what’s my point? Well, my point is that when we humans adopt a human child, we usually get counseling, and ongoing support, with all sorts of information from social workers, adoption agencies, school teachers, etc. We’re also told all about the adjustment stages children go through after being in foster care, etc., and the amount of time it may take to achieve that “I’m Home” feeling. But what are we told, or counseled in about the adjustment and time needed when we adopt a dog or cat for them to feel at home? While human needs are more complicated of course, the dogs and cats we adopt have deep feelings, and need adjustment time too. Maybe much more than many people realize. And just as matching children to the right family is vital to the success of the adoption, so is matching a companion animal to the right family also vital for success. Unlike human adoptions, animal adoption decisions are commonly made within a visit or two to shelters. “The majority of the 6 to 8 million animals that are homeless each year are dogs (National Council on Pet Population Study & Policy, NCPPSP 2009; Humane Society of the United States 2010). Of the dogs that end up at shelters each year, most arrive there because of owner relinquishment. Worldwide, studies reveal that a significant number of adopted dogs are returned to shelters. The return rate of dogs to shelters ranges from about 15% +(Mondelli et al. 2004) to 50% (NCPPSP 2009). Approximately 60% (American Society for the Prevention of Cruelty to Animals, ASPCA 2011a) are euthanized. In an attempt to keep so many dogs from being euthanized, pet adoption has been promoted, but with limited success. There is a need to reduce the number of dogs relinquished each year by owners. 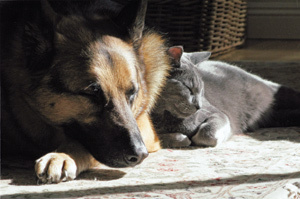 One way to achieve this is to understand the factors related to pet satisfaction”. 1. Calling upon my own psychology studies, I’d like to add that expectations play a large role in success or failure of the things we choose. Unrealistic expectations can lead to disappointments, and my guess is this plays a role also in why so many people relinquish their dogs, adopted or not adopted. Whether this means unrealistic expectations of the companion animal chosen and the adjustment period, expectations of the responsibility, or not choosing the “right companion animal” or all of the above, realistic expectations prior to choosing an animal is part of what will make it successful. “The problem of relinquished dogs is a worldwide concern. In Italy, in the first study of its kind (Mondelli et al. 2004), researchers reviewed questionnaire responses of people who returned a dog to a shelter. They found that, during a six-year period, 86.3% of dogs were adopted, and of these about 15.2% were returned. Of the people who returned a dog, 71.2% completed a survey. Responses indicated that 38.8% of these people returned the dog primarily for behavioral reasons. Some of the problematic behaviors were “vocalizes too much, hyperactive/stereotypes, destructive/soils house, escapes, and disobedient and problems with other pets.” Next, 34% stated management problems, which included “animal medical issue, no time for pets, personal or family reasons, pet conflict, small house, and no apparent owner”. Other reasons people returned dogs were aggression (14.9%), allergy (5.5%), and apartment block regulation (4.5%). In a few instances (2.3%), people did not give a reason for returning the dog (Mondelli et al. 2004). I can only speak for myself. I had my own expectations and a few surprises from Sophie about her behavior, which as I stated in my first post would have been a deal breaker 25 years ago. Although I admit I would have never left a dog at a shelter. But since then I learned how deeply they feel, and I am still learning every day. Sophie really is home, and my experience of watching her blossom from her previous unhappy life has been a joyful and fulfilling learning experience that I can’t help writing about. Next: More on choosing a companion animal for a successful adoption. Well, haven’t written a new post for a couple of weeks since I’ve been in technology hell revolving around my new computer. 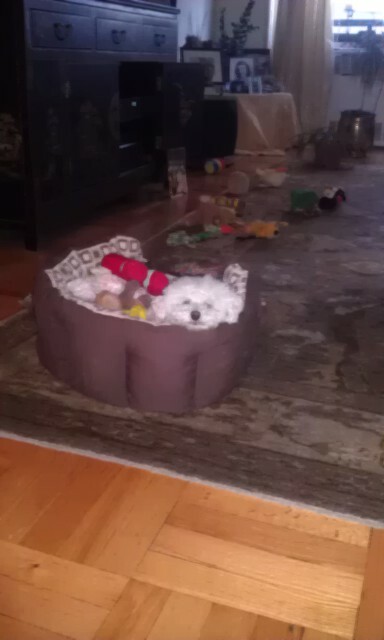 But one thing keeps me smiling that is, observing my little Sophie. And even though I’ve been physically and mentally occupied with computer issues, I can’t help reflecting about my relationship with her and thus my feelings about all animals, and their emotions. I say my relationship, but more accurately as I reflect, it is our relationship, not just mine. I’ve always been fascinated by the behavior I’ve observed in Charlie and Teddy, both individually, together, and each as they grew from puppyhood to adult. I also used to trace their behavior back to evolutionary biology, a favorite subject of mine. But with Sophie my little adoptee, it’s different. Sophie had just turned 2 when she came home with me 7 months ago, so the changes I am observing aren’t from aging out of puppyhood, and in fact, she has become just as puppyish as Charlie and Teddy were as puppies. But more than her playfulness, I think I am witnessing her growing trust, and her growing love for me. Relationships are dynamic and reciprocal, that is they are based upon the effects both parties have on each other. Actions and reactions cause interactions, more reactions and so on. Studies have shown that while a mother’s behavior affects the behavior of her baby, the baby’s temperament and behavior has an equal effect on the mother, which in turn then affects the mother’s behavior toward the baby, and so on. Hence, so it goes between me and Sophie. A reciprocal relationship as all relationships are. When I first brought Sophie home it was barely a month that I had said goodbye to Teddy after a long battle with her illness. I wasn’t sure how much love I could feel so soon for another dog. But I knew in my heart that I love dogs, and that focusing on her needs and her individuality would result in my affection growing. Of course, there was some frustration along the way particularly with figuring out why Sophie insisted on using my bed as a giant wee wee pad, but it feels like ancient history now. And I’m amazed that it feels as though the issue didn’t even exist. Maybe it’s because we have developed a loving positive relationship that has overridden any negative. I am also amazed that I feel Sophie’s love now. Yes she gives me belly, that is, she lies on her back, legs up in the air so I can rub and kiss her belly. But more than that, she now gazes at length into my eyes, she cuddles and snuggles against me tucking her head under my chin, and I especially love when she lies on my chest facing me, looks at me and gives me kisses. And none of this involves treats! One of the behaviors that she now also exhibits is a lack of fear with me, which swells my heart with affection. For instance, in the beginning when I would brush her, she would remain totally still although I could observe it was not her favorite thing. Now, she fights me, squirms, and well, she makes it pretty difficult for me. Thinking back. I can’t help but smile, she’s no longer afraid to fight the grooming. I said in one of my earlier blogs that I expected that adopting an adult dog would be different than bringing home a puppy, bought or otherwise. Adult dogs have histories, too many unfortunately not good. So while all of us, human or non- human have individual personalities, puppies are kind of a clean slate. Adopted dogs come with experiences that mold their behaviors. Earning their love and trust is different than earning the love and trust of a puppy. I never thought about this raising Charlie and Teddy, why would I. They were bundles of energy, and mischief. I had much joy and love from them, and I loved them for who they were individually. Now, I am experiencing what it is like to overcome history, with love, and patience, kindness and positive conditioning. And what feels so special is feeling her trust and love grow for me as a result. Next: George, a rescue visits Sophie! Pit Bulls, are Our Best Friends, but again I ask, “Are We Theirs? Pit bulls are among the sweetest dogs I personally have known. Over the many years as a dog lover, I’ve noticed dogs more than people, and I usually say hello to more dogs than I say hello to people. And, no I’m not unsociable to my own kind, just a dog lover. Here in Manhattan there is a large population of pitties especially in my neighborhood, and I don’t mean the areas known for drugs and crime. I happen to live in the fashionable Midtown East area, also known as the Upper East Side. And several of my favorite neighbors just happen to be Pit Bulls and Pit Bull mixed breeds. There are just on my city block at least half a dozen, with one living in my building! I’m grateful that the breed discrimination against these dogs is minimal here compared to other areas of the country. Dogs that are referred to as Pit Bulls are the American Bull Terrier and the American Staffordshire Terrier, but most are mixed breeds and are usually categorized according to their appearance. And I’d like to add that the well- known rumor about their jaws locking is FALSE (Scroll down to a link for the full ASPCA article on this). Well, I can see by this description why they are the most used in one of the most abusive ways by some of the most abusive inhuman humans. However, my question is, are we always just a product of our physical prowess using it to be violent? Why are dogs different? Solid evolutionary theory, and Charles Darwin’s ideas about what he coined evolutionary continuity in which he recognized that the differences among species in anatomical, physiological, and psychological traits are differences in degree rather than kind. Speaking of temperament, one of my favorite neighbors is Jekell, a Pittie mix who lives a few floors above me. Always a gentle greeter to Sophie and me with a wagging tail, he immediately sits for Sophie so she feels at ease to greet him. Many times he’ll sit with his back to her and while I can’t swear that he does this on purpose, it puts Sophie most at ease as we approach. What I love also about Jekell is the way he looks me in the eyes, and I see and feel a mutual affection. Jekell didn’t learn to do this because Laura bought him and trained him as a puppy, but rather he was found roaming the streets of NYC. A wonderful couple found him half starved and brought him home, and then to a Vet. Laura who is part of a Pit Bull Rescue Group then adopted him. I met Jekell when Laura brought him home, still all bones even though he had been eating more food for a few weeks. Gentle and sweet, what Laura pointed out and what I noticed was that Jekell was always “on guard” when outside, constantly on the look out. I would guess this is what a dog must do to survive on the streets. One year later, Jekell still the sweetie, is more trusting as Laura tells me, and while he stills keeps his eyes open, he is much more relaxed. Jekell was once attacked by a smaller dog while at the dog park, but didn’t fight back. Doesn’t seem in his nature, and while I not an animal behaviorist, my understanding is many times during play dogs can become overexcited. Sometimes within a second the play can turn into more. Just like us I’ve seen children do so adults and us humans are responsible for keeping a close eye. P.S. The other dog wasn’t a Pit Bull. Pit Bulls, and all the dogs that are categorized as these terriers, are indeed strong dogs, but it is humans who have used this physical prowess for the violent purposes that have now brought us to discriminate against them. People from drug dealers, to gang members, to ringleaders of dog fighting to kids who use them as their alter egos, and even to wealthy professional athletes like Michael Vick using unspeakable methods forcing them to fight have given them the reputation that they now have. Speaking of the above athlete whose name I don’t want to repeat again, here is a link to happy ending story from Best Friends Organization titled “Layla Goes Home.” Layla, one of the severely abused Pit Bull dogs from the fighting ring gets the love she deserves in a new forever home. Given the love and reconditioning, she is now giving only love back. Should we have breed discrimination? 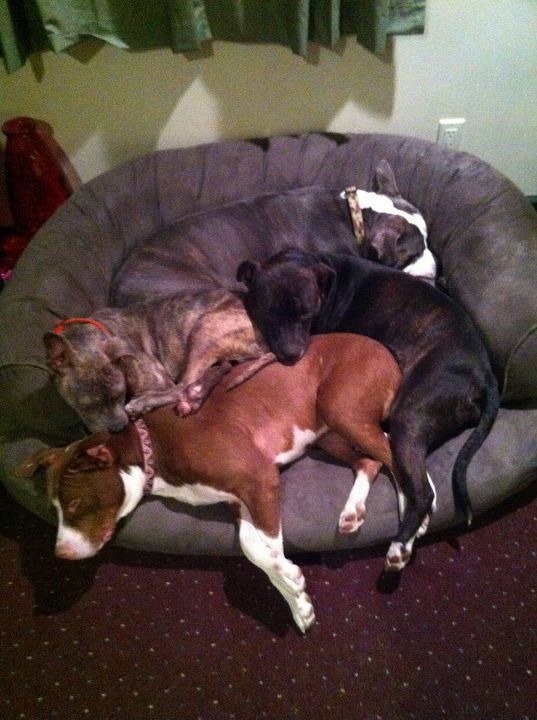 I say yes, yes against the breed of humans who raise and/or use the wonderful attributes Pit Bulls have against them. Let’s not generalize an entire breed of dog due to what humans have done to them. Let’s make the distinction. 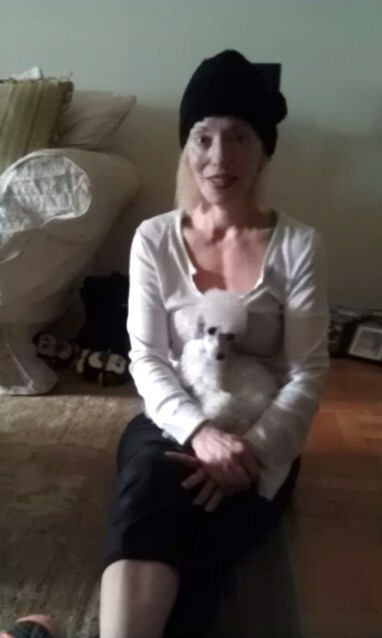 Well got to go, Sophie and I are on our way to meet Laura and Jekell for a walk! Next: The Value of Animals. There are a multitude of scientific studies about how companion animals benefit us, from companionship, improved physical health and mental health, to social benefits (I have made several great friends while walking my Charlie and Teddy). This is just a start. Military dogs, police dogs, bomb sniffing dogs, seeing eye dogs, cancer sniffing dogs, rescue mission dogs, therapy dogs, service dogs and on and on and on. Oh, how about bed bug sniffing dogs. Can you think of any other categories in which our best friends are by our side helping us? Don’t get me wrong, I’m all in favor of this as long as they benefit too (There are a couple of categories I’ve listed above that I am personally not in favor of). But how as a society are we protecting them? Since I became aware of the abuses of animals and specieism, I have asked myself why are we not protecting our companion animals more since they do so much for us (I want all animals protected, but for my blog I’m discussing our dogs and cats)? While there are many many wonderful people who are a part of the Animal Protection Movement from organizations to animal Shelters, rescue groups, and all the employees and volunteers who selflessly dedicate themselves to helping animals, abuse continues in many forms. How about legal protection? How are the laws protecting our dogs and cats that we love? 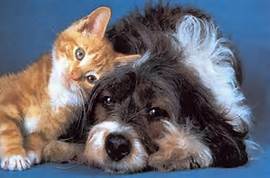 “Although a wide variety of species are kept in our homes and near to us for companionship, the great majority are dogs and cats. And according to an article titled Companion Animals and Human Health, “sharing our environment with animals has a profound effect on the health of the humans concerned. As keeping companion animals is a very widespread activity, about 50% of all households in the Western world have some sort of animal, the effects are far reaching”. In fact, in another study published in Public Health Reports, the researchers found “a positive correlation in survival rates in heart attack patients 1 year after discharge from hospitalization, meaning a higher survival rate in patients who lived with a companion animal than in patients who did not”. Yes, most of us will testify how much our best friends mean to us. I’ve already written how mine have changed me and the course of my life. Yet, as a society and according to the law, our dogs and cats are property. If someone were to damage your property, the law would consider the financial worth to us in a lawsuit based upon replacement of the property. Since our companion animals are property, the law basically is stating they as property do not feel pain or suffer and their value is as close as the nearest pet shop to replace. We can also buy and sell them at whim like new or used furniture, discard them and breed them in puppy mills the same way as if they were cars on an assembly line. While things are changing, it still feels like an overwhelming uphill battle to change laws. But…. We can keep spreading the word to adopt of course so we save more lives. Sophie is my first adoption, and I will adopt another friend sometime in the future. I know I never want to contribute to the money the puppy mills, puppy stores, and even some veterinarians make (More on this another time) regardless of the abuse. But, I’d also like to suggest that we change some of our language that objectifies our best friends. I call myself Sophie’s Guardian and sometimes, furry mom but never owner. I call Sophie my companion animal, little furry best friend, and sometimes my furry child but never again pet. I’d also like to suggest we replace “it”, with her/him, they for instance as we so often do when we refer to our furry friends. Sophie isn’t an “it”, she is a “she”! I learned in my Animal Studies program that legally, a person is defined as a human of course, but a “corporation” is also legally defined as a person or as having a personhood. Hmm, a corporation is a personhood, but not our best friends? Our dogs and cats are living, breathing, feeling and thinking beings, not property, objects, or an “it”. If a corporation can be defined as a person, why isn’t a living being of another species legally defined as a person? As living beings why are they legally defined as objects? To me, this is even where the term pet comes from, and not just owner. Language affects our perceptions; actions and eventually it can help to change laws. Perhaps another step to protecting our best friends in our society is to change our language. I will always call myself Sophie’s Guardian and she and any companion animal in my home, my Best Friend. Will you pledge to do this too?